If you didn't know already, The Fragrance Shop run a sample box scheme called The Discovery Club, and I was very kindly sent their new Autumn/Winter box to try out. The Discovery Club produces a new box of samples every quarter of the year for the small price of £5 per box. In the box you receive a selection of samples to try, as well as vouchers for money off the full sizes if you like them. You could say it's kind of like a 'try before you buy' type of thing, except the £5 price tag which isn't much considering you get proper sample vials as opposed to a flimsy sample on a stick or on the back of a piece of card like you do in magazines. That way you can get a good trial to see whether you'd actually wear the fragrance on a regular basis before splashing out full price on a new one. Also included in the box is a VIP booklet which gives £5 off each of the fragrances in The Fragrance Shop and £10 off the Loewe Quizas Seduccion fragrance. 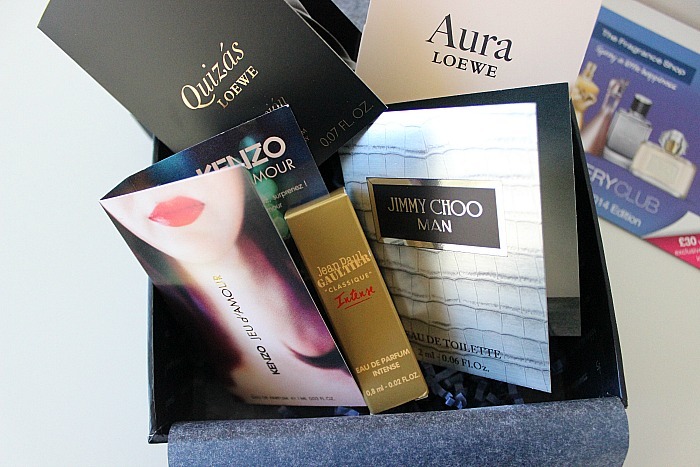 I like the fact there's both male and female fragrances in the box, as my hubby was chuffed to be able to try the new Jimmy Choo MAN, and it gives me an idea of the kind of fragrances he likes, especially with Christmas coming up. Worth the money? I'd say yes, it's definitely worth £5 to be able to try 5 different (hopefully new) fragrances before deciding whether or not to go for the full size - and the vouchers help with that. I wouldn't say I'd subscribe to do it every quarter, but that's the beauty of this scheme, as you can just pay for a box as and when you feel like it, as opposed to being tied into paying for something you're not really bothered about. 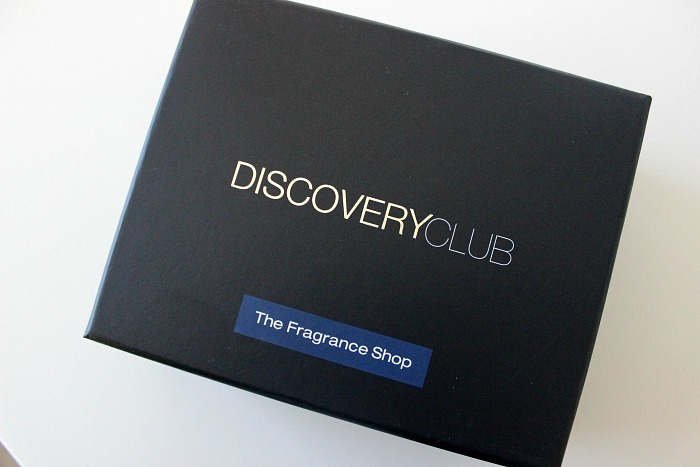 Would you consider getting a Discovery Club box?